It’s still summer break here and I signed C.J. up for a special morning camp at the gym where he takes gymnastics. By the way, he has officially been promoted from a Tumblebee to a Kinderroo, so you might want to get your tickets now for the 2024 Summer Olympics. Consider yourself warned. We arrived bright and early: C.J., C.J.’s Brother, Uncle Uncle’s boyfriend and me. We signed in and I asked the sweet little innocent camp counselor what was on the agenda for the day. “Okay. Well. We have free play from 9 to 9:15 a.m., stretching from 9:15 to 9:30 a.m., then we put the kids in groups based on their age and gender,” she seemed so happy to be able to answer my questions so thoroughly. Uncle Uncle’s boyfriend looked at me and I was glad that he got the chance to see what I to deal with on a constant basis. “What do the different gender groups do?” I asked. “Well, the girls do gymnastics, cheerleading and dance and the boys do soccer, rock climbing and go on the big trampolines,” again she was so proud to be capable at her job. “My son might want to go with the girls,” I said. She hadn’t been instructed what to do in this situation. Deer in headlights. I scooped up C.J. “C.J., do you want to do gymnastics, cheerleading and dance or soccer, rock climbing and trampolines?,” I asked. “Trampolines!,” C.J. replied excitedly, already bouncing. “It looks like he’ll go with that group, then,” I told the camp counselor, refusing to call it the boy group. “Alrighty,” she said looking relieved. You and me both, sister. My son wanted to go in the boy group. (Actually he really just wanted to bounce on the trampolines, but I’ll take it.) I walked out of the gym feeling a little different. My son chose to go with the boys and do “boy” things. I’d have to get used to the idea. “Why do they have to break them up by gender? 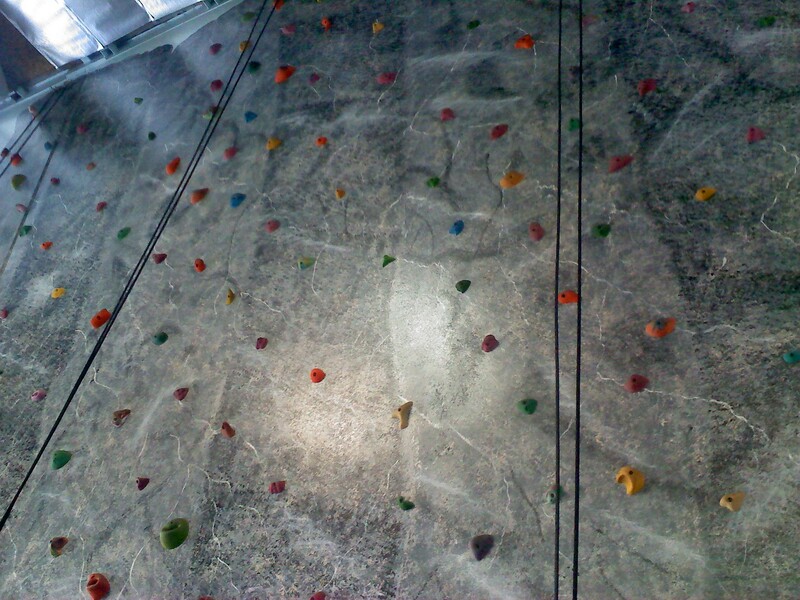 I bet there are five girls in there who want to climb that rock wall. Hell, I wanted to climb the rock wall,” Uncle Uncle’s boyfriend said as we walked to the car. “As a child, I would have much rather climbed the rock wall and bounced on the trampoline than do a cheer and dance routine,” I said, wishing that they would break the kids into groups not by gender, but by activity preference. But what did I care that day…my boy wanted to be in the boy group. And, the next day he wanted to be a cheerleader. This entry was posted in All Posts, Main Site Header and tagged effeminate, Gay, Gender, gender creative, gender nonconforming, Gender Stereotypes, Orange County, parenting, Queerty, raising a gay child, Raising My Rainbow. Bookmark the permalink. I love how all he heard out of all of that was trampolines. He is TOOO cute for words! And this is why I didn’t go any further than grade 9 gym (that one mandatory credit), despite being an avid athlete. Girls did dance and aerobics and made up routines to perform in front of the class, while the boys got to play sports. Team sports – floor hockey, softball, basketball, volleyball…. I could play those for the school, but not in gym. As non conforming and self conscious, I found gym humiliating. I look back and it’s such a shame. It doesn’t have to be that way. I am a former rugby player, and look like one (i.e. not exactly dainty). But because I took gymnastics and dance as a kid, I can also kick higher than my face. I am the most flexible person I know, particularly considering my size, and I ascribe it all to the agility and balance I learned in those “girly” activities. As long as he’s running around and getting sweaty (as we all should more often), why should anyone care? I don’t see what is necessarily gender-specific about any of the activities you listed. Even the cheerleading – Texas A&M has had EXCLUSIVELY male “yell leaders” for ages. Sounds like the way to go would be to let everyone do a little of everything. Again, thanks for posting your story – when I have kids I hope I’m the kind of parent you are! Ok, well first off, I’m ECSTATIC that cj likes the little mermaid [my name is Ariel (R-E-L the way sebastian says it)]. And I’m a gymnast, so that’s even better! As for the separation of boys and girls in gymnastics it’s mainly because if the child chooses to go farther (compete) the boys and girls don’t do the same events. Girls do vault, uneven bars (that are wood), beam, and floor; boys do vault, high bar (steel), parallel bars (wood), pommel horse, rings, and floor. And the earlier you start on “your” events the better you will be. Cj’s mom, you are ABSOLUTELY AMAZING! I read your blog all the time, you are so inspiring. 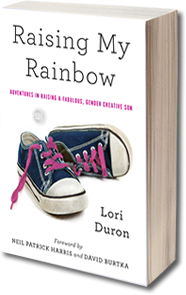 Not just as a mother of a gender-nonconforming son, but just as a mom and a person in general! As a girl that would not participate in Cheerleading – thank you. (Mom laughed when they told her they put me in time out for it – then asked for her money back since I was not getting to do what we had signed up for). Separating the groups based on gender makes absolutely no sense to me. I honestly can’t think of a reason. My son’s gymnastics class is all boys and girls, mixed. He’s four, though–maybe the gender segregation starts later? But why? It’s not like the groups have to shower together or something. This also raises the issue of gender segregating sports as well–yesterday at the university campus where I teach I saw a group of young men doing a running warm up around the block, followed by a group of young women. Did they start off with the women behind, or were the men just faster? Must sports like soccer be gender segregated? I honestly don’t know…just thinking about it now. But for the age of CJ, and especially for gymnastics camp, I cannot fathom the reason. Well, as an ex-educator, I can tell you at least part of what’s going through their heads. It’s easier, and easier to be “fair”. The problem with letting them go by preference is all the kids might want to do one activity, or just too many to make it workable. A better suggestion would be to divide the class in half randomly and have the two groups switch off. All of those activities are healthy and have benefits that are unique, and they should all get a chance to learn all of them. Hey CJ’s mom, I’ve been reading for a couple weeks now and love everything about the way you parent. 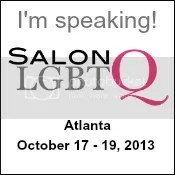 I read this Salon advice column and thought of you! I know you probably are tired of being the advocate, but perhaps they just need to be prompted to think about it in a different way and they would see that gender groups don’t make sense. I’m an educator and we no longer line the kids up by gender. Most of the younger teachers were not lining them up that way anyways, but the older teachers just needed a brief discussion and then they “got it”. Even if they didn’t understand, they followed the new protocol. I am sick of the McDonald’s gender based toys. They automatically give the “boy toy” to my son. It’s incredibly sad that these stereotypical gender roles are forced upon children. I wonder how different the world would be if children were allowed more freedom to chose their own paths. This certainly takes me back in memory. I left the scouts for the same reason. With so many people I’ve heard pointing that out you would think activity groups would have gotten the memo by now. I imagine if they had uniforms, it would be blue for the boys and pink for the girls, no exceptions allowed or considered. Excellent blog, CJ has the best mom ever. I don’t understand why they don’t divide the kids based on interest vs. gender. There’s way too many things based on gender that has absolutely no right being so. I’d pick the trampolines any day. I doubt Erma Bombeck ever wrote about gender nonconforming children, but I kind of think if she had, it would have sounded a bit like you. LOVE IT! You are right– let them pick activities, not gender based. I absolutely agree with Connie. I would much rather do rock-climbing (that’s how I met my hubby, in fact!) and trampolines than cheerleading any day! And they seem to be forgetting about all the male gymnasts (and cheerleaders).